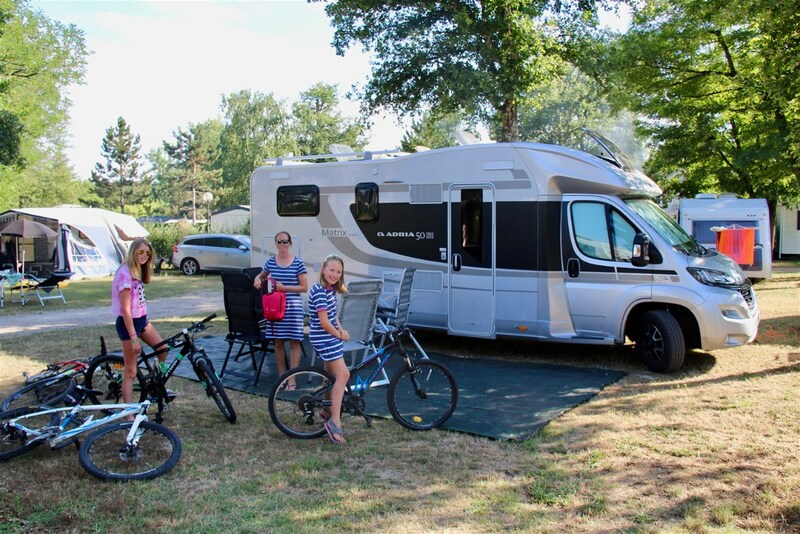 If you’re new to motorhoming then we’d recommend you head for the Loire Valley and some of France’s most idyllic scenery. 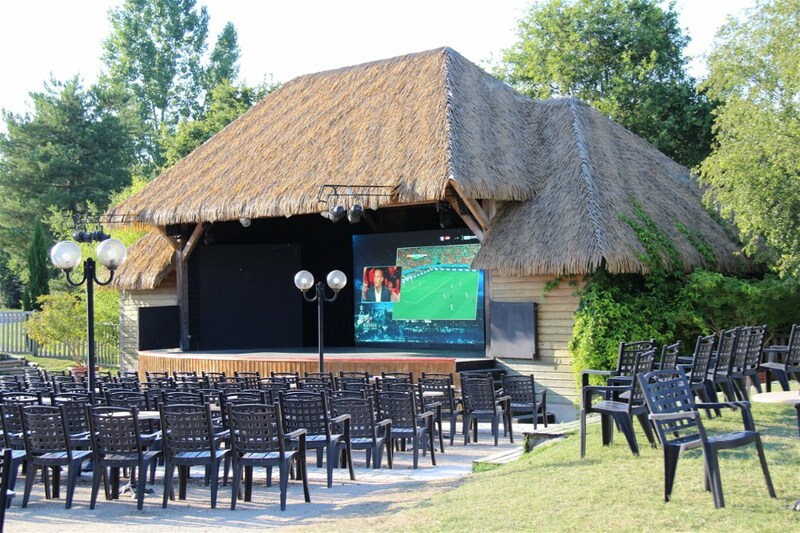 But if you’d like a campsite fit for adults and children alike… then look no further than one of France’s most prestigious ‘5 star’ campsites at Les Alicourts in the Loire Valley. As the summer holiday draws ever nearer, we know this will be the ‘now or never’ moment for some families who are contemplating taking a chance and looking for some last minute inspiration. As we reckon we might be getting towards the stage where we can call ourselves ‘experienced campers’ after visiting over 400 campsites in the past 2 years! 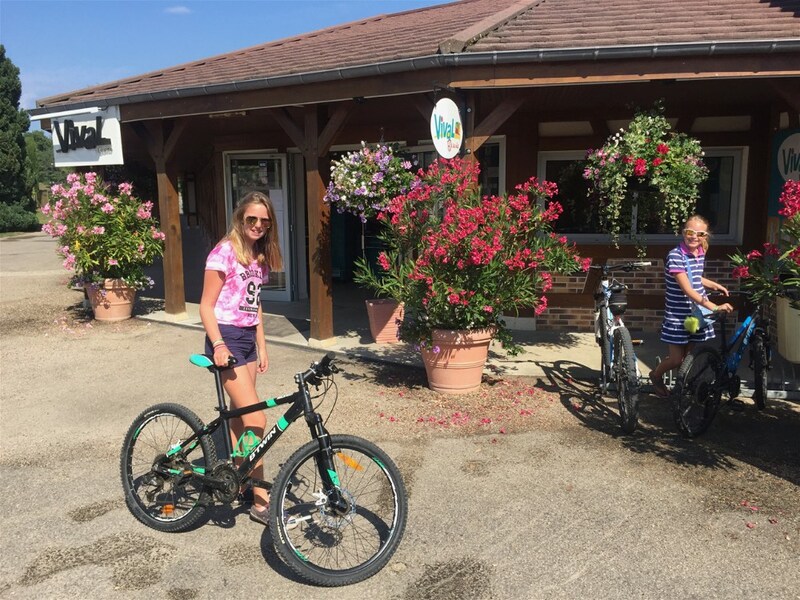 Here’s one place we’d definitely recommend to any motorhoming families visiting France. So why would we recommend Les Alicourts in France? 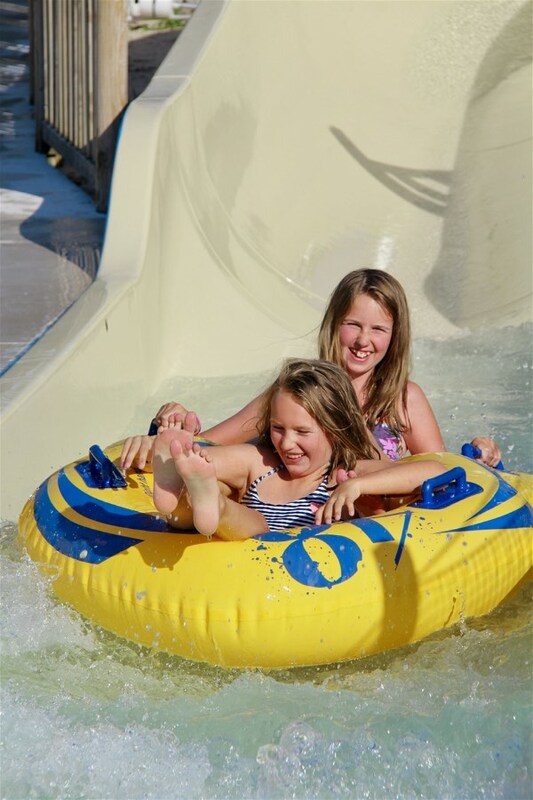 But ‘Les Alicourts’ Holiday Resort really does have something for everyone from impressive swimming lakes, amazing animation team, ‘all ages’ aqua park to beautiful boutique spa and restaurants. It’s no surprise that it makes it into one of the select Leading Campings sites. It really is the perfect place to explore the Loire, apparently one of the top European destinations in 2018 according to this article. For those that will have seen our Sea Cliff Jumping/Kayaking in Croatia or our adventure antics in Norway’s adventure capital at Voss…. 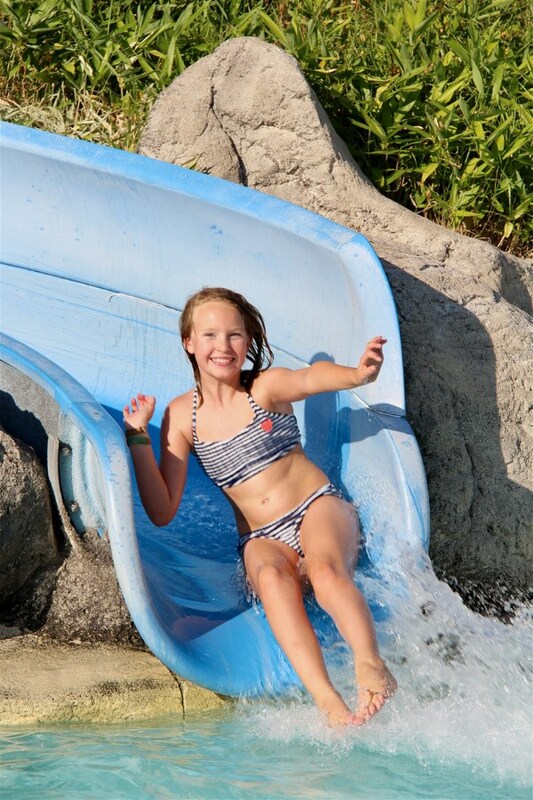 You’ll know that we encourage our girls to embrace a little adventure where possible… and this resort certainly offers plenty of opportunities! 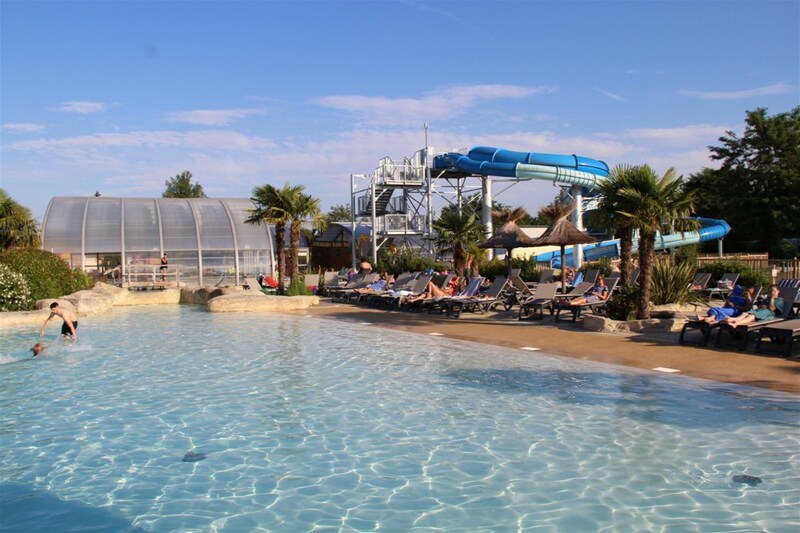 The ‘Les Alicourt Resort’ is centred around the sandy beaches that form the border between the natural lake and the tropical themed aqua park (covered and uncovered pools). So any water based activity you care to mention is probably available…. From learning to water ski (on the motorised line), to SUP or kayaking, swimming or fishing… there’s plenty for all abilities. 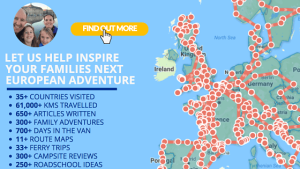 Equally enjoyable for adults & children… it’s probably worth mentioning that you need to be able to cope with swimming to undertake any lake based adventure… But if you fancy finding out about some wider European Adventures we’ve found then here’s a few which might be worth a visit??? Location, Location, Location is such an important phrase when choosing a campsite for everyone to enjoy on a holiday abroad. 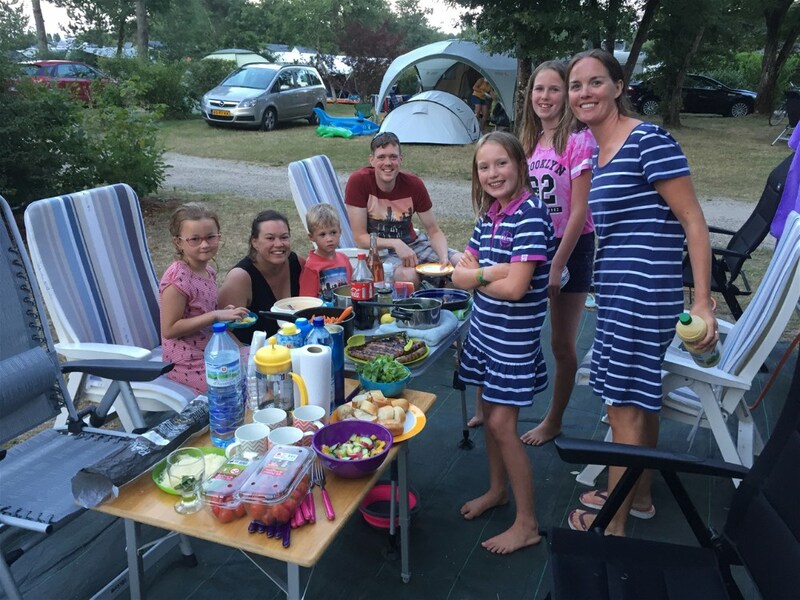 For us, we just want to find somewhere to relax, spend time together as a family and enjoy the sunny climate… so we hope our pictures might just give you an idea on what it feels like to pull up a chair and enjoy the view across the campsite at Les Alicourts! 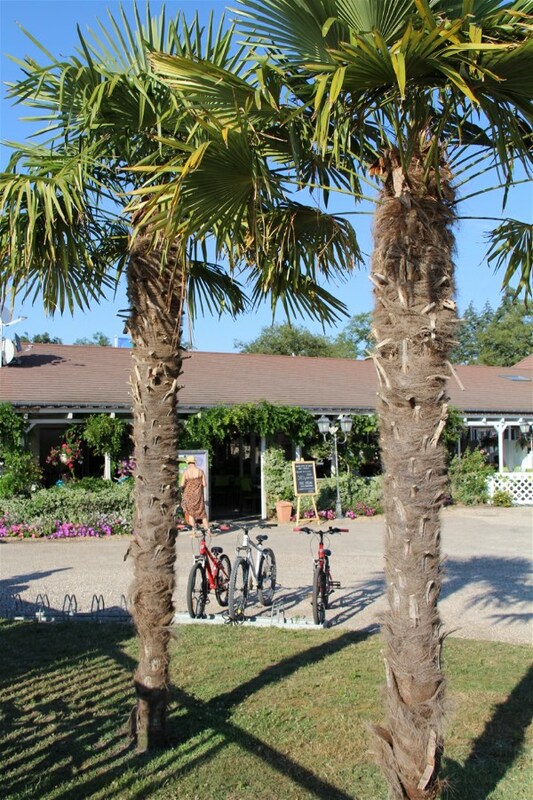 That said, we’re sure all motorhomers will love the spacious plot sizes, all shaded with mature trees and surrounded by well manicured gardens. It’s just got that feeling of a little luxury that makes any motorhoming/camping holiday that little bit easier! Some campsites seem to bustle with intent either day or night and Les Alicourts Resort can rightfully declare itself to be one of these. It just seems to have something going on for all ages. The stroll down the central market area at night is as packed as the beach & aqua park is during the day. Perhaps it’s just the infectious enthusiasm of the daily animation activities that seem to operate 24/7…. either way our kids loved it!! So what about the facilities? Flanked by spectacular forests on all sides, the impressive and colourful flower beds that cover the site only add to the feeling that this is truly a resort to relax into. Add to that a sandy beach, BMX track, sports facilities and some truly fabulous restaurants/takeaways and shops…. It really is a ‘picture perfect’ destination that’s great for kids too! 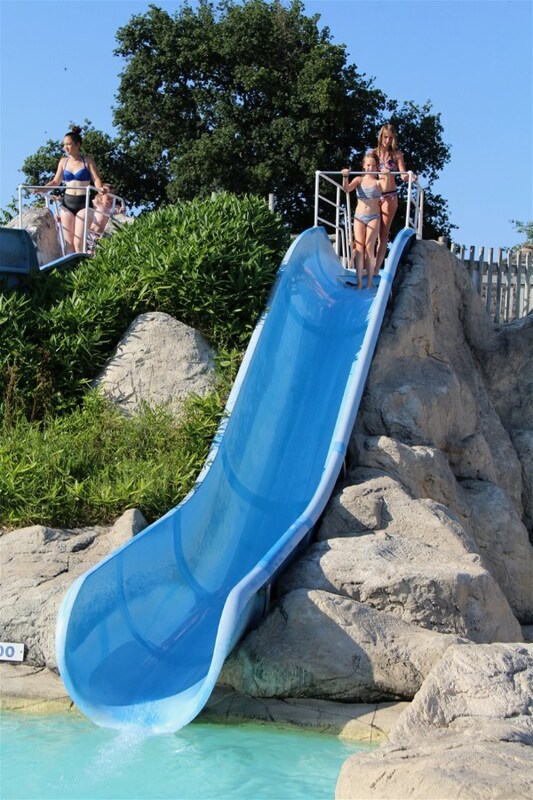 The Loire boasts an extraordinarily mild climate (it was 31°C in early July when we visited) and the crystal clear tropical swimming pools inevitably draws you into spending a lazy day beside the toboggan slides or wave pools…. perhaps even enjoying a quiet drink in the beach-side bar…..
Or in our case, it wasn’t the beach side bar. More the brilliant theatre beside the bar which was turned into a cause for celebrations on Sunday. With hundreds of passionate French and Croatian’s enjoying the final minutes of the World Cup… the place erupted with joy as France secured yet another football ‘World Cup’ with their 4-2 win! Our French hosts sure know how to party!! As for meeting fellow campers, well we got really, really lucky!!! For us, it’s not just the places we visit, but the people we meet…. and we struck gold with this fantastic family from Holland. Instantly getting on, it’s seemed like we’ve known them forever. Whilst the kids have enjoyed some wonderful days together (and the adults too!!). 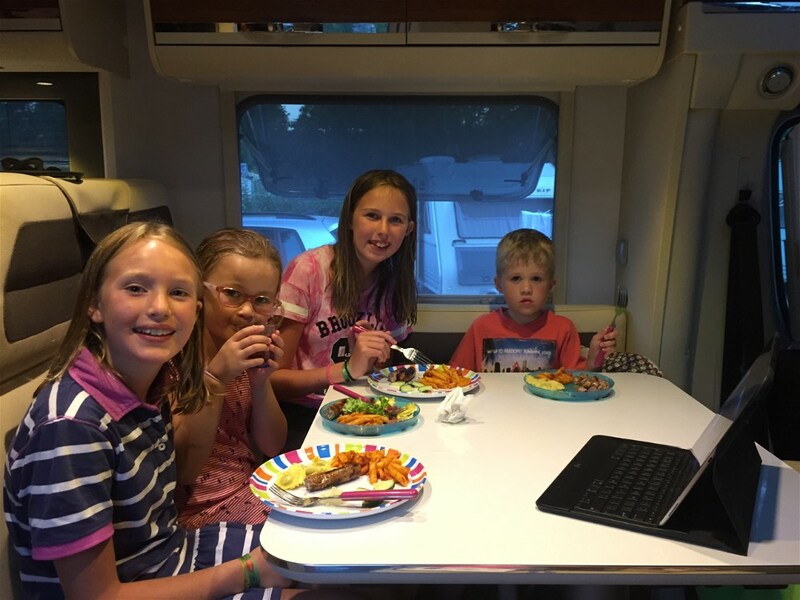 Swapping stories, jumping on the water slides together, sharing meals or playing board games in the evening… it’s been a brilliant start to the summer!!! 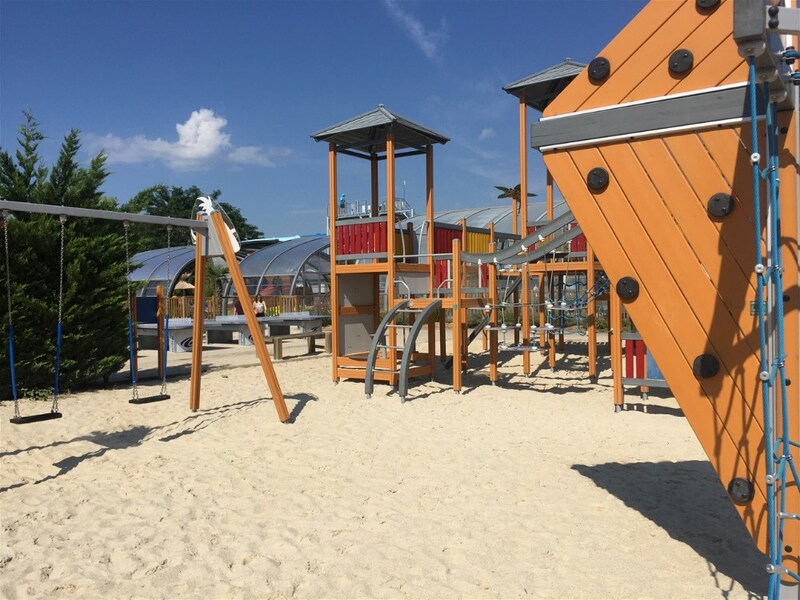 Whether you’re seeking a little tranquility, nature, comfort or an ideal spot for your family and your children… this place has something to offer you all… But perhaps the first place to start would be the aqua park…. 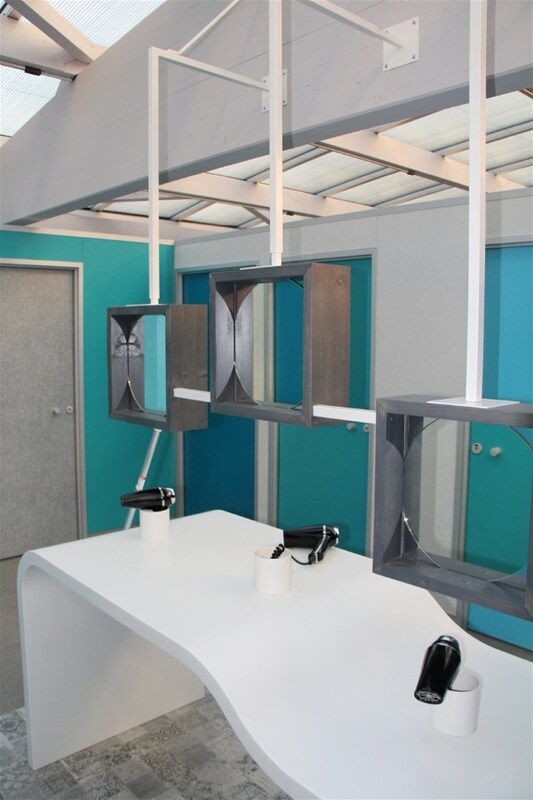 That said, it’s a constantly renovated site that has apparently added even more comfort and services… with brand new dishwashing and sanitary areas completely refreshed and renovated (we thought the old blocks were more than adequate too!) 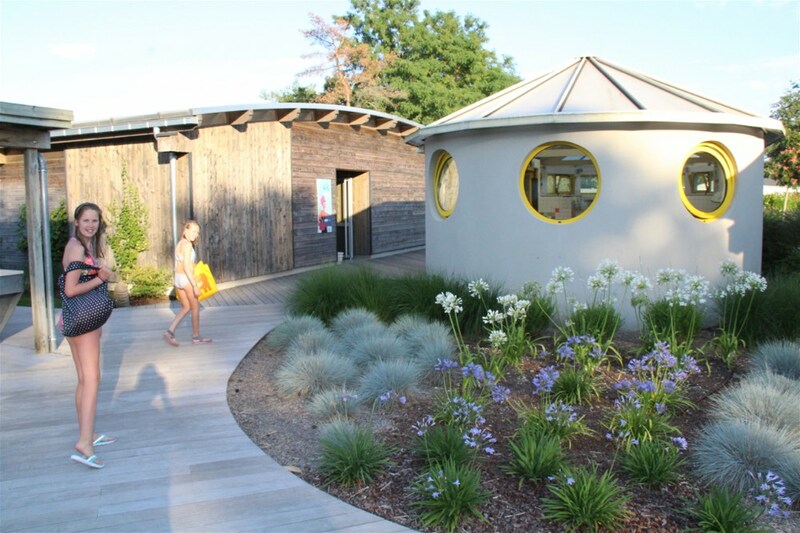 It’s just such an accessible site, with lake views available from most pitches and a feeling of safety across the entire site that is crucial when visiting with young children. Just imagine grabbing an early morning croissant from the on-site bakery as you listen to the sounds of laughter from the water slides as you sit beside the lake, letting the waves lap gently against the shore or stand on the jetty watching the fish lazily swimming underneath you…. Add in a little onsite spa treatments (easily located in this well signposted campsite/holiday resort) and it’s starting to become a viable option for a decent 7 or 14 day break. But not everyone wants to spend the entire time in a resort, we certainly don’t… even one as nice as this! 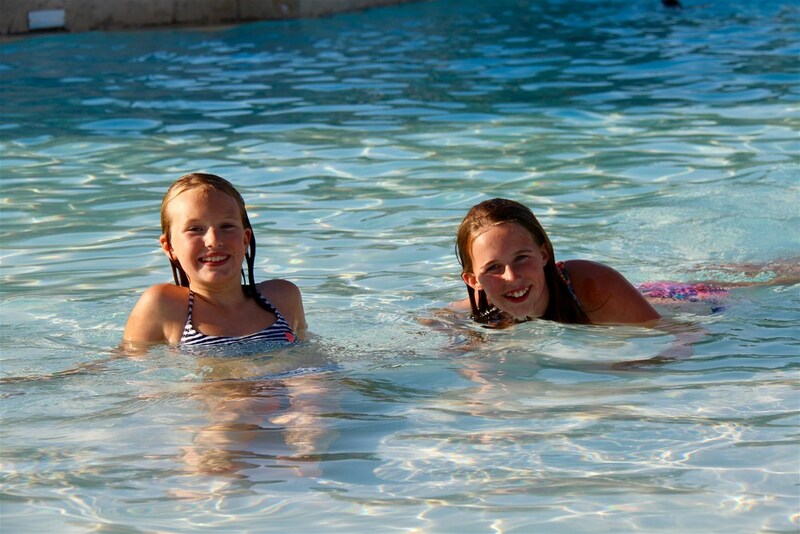 But if you like facilities, facilities, facilities, you’ll love taking your family to Les Alicourts Resort! For more details of other things to see and do in Les Alicourts – why not visit https://www.lesalicourts.com/en/ . We hope you love it as much as we all did!! !